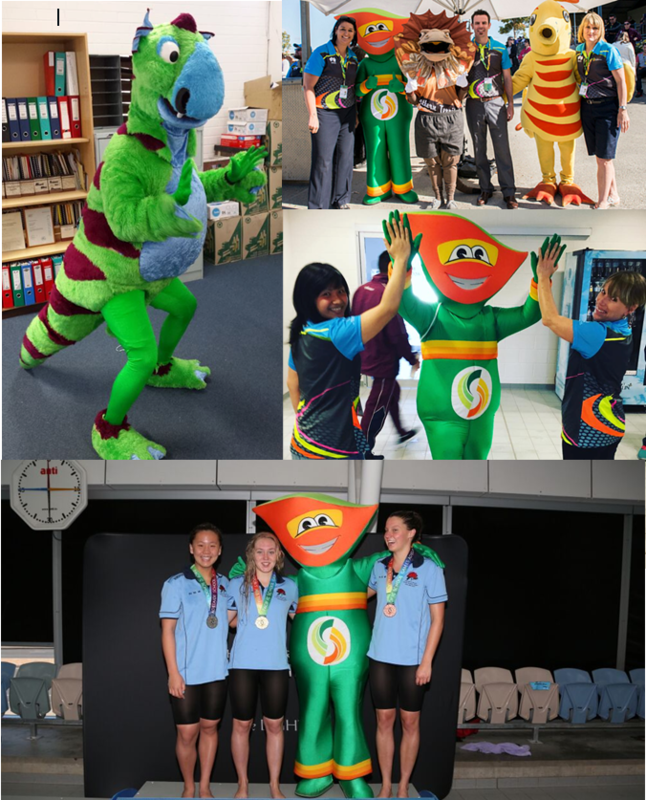 In the lead up to the 2017 Games, we thought we would take a look back at the previous Games’ mascots! The name ‘Bidja’ which means mate in Wiradjuri was selected for the 2008 Pacific School Games in Canberra. A mythical aboriginal creature, the Bunyip (also commonly known as a Yowie) were creatures that lurk in swamps, creeks, waterholes and riverbeds that would lay eggs larger than Emu’s. Although deemed mythical, white settlers slept in fear as several sightings of Bunyip occurred within the 1800’s. The Weedy Seadragon is a beautifully coloured, dainty and timid creature. They grow up to 45cms in length. The mystical colours of a Seadragon are also used to hide from predators with its ability to camouflage alongside small leafs. Weedy was selected for the 2005 Pacific School Games due to its rarity, with these creatures only found on the southern coast of Australia. Known as Dragon Lizards, Clammy and Kingi can be found in northern Australia and southern parts of Papua New Guinea. These lizards are known for their frill neck, which is used, as a defence mechanism, which when opened, can be red, yellow or grey in colour. These lizards also use their hissing noises to scare any potential enemies. The scientific name for dragon lizards are named Chlamydosaurus Kingii, which is the secret behind the names of Clammy and Kingi. Known as Matey, this mascot optimizes the values of the games including friendship, relationship building and sportsmanship. ‘Mate’ is common Australian slang that dates back to colonial times. It’s a term that implies a sense of shared experience, mutual respect and unconditional assistance. Whist trying your hardest during competition is important, it is also a great opportunity to make new friends with the new experiences you come across.